Welcome to our Casino Joy Casino Review where we explore in more depth the reason for our Casino Joy ratings 2018. The site is one of four online gaming sites that is owned by Pomadorro NV, which like a lot of online casinos is based in Malta. The casino was established in 2014 but has only recently been licensed by the UK Gambling Commission. Despite this newbie feel, the company has actually got more than 10 years of experience. The philosophy of the site is revealed in the name: to offer a pleasurable experience for the punter. The question for this Casino Joy Casino Review is whether they succeed in what they have targeted to achieve. So, if the whole point of the site is the experience of the user, then this is going to be the most important section in this Casino Joy Casino Review. It is fair to say that the key reason to use the site would be the decent customer service. Although there are some reports on the internet that the terms and conditions are too complex and not quite so straightforward as they should be, the team behind the live chat and the phone-line are friendly and responsive. Resolution rates for the site are excellent and most reviews seem to be keen to recommend. They also provide quick withdrawal, which is important and the commitment to user experience is demonstrated through the wealth of payment methods you can use. You can even deposit using Bitcoin, showing that this site is truly future-orientated. You need more evidence that they want to make the use of the site easy? Then, look at the social media sign up, which takes no more than a few seconds, depending on your internet connection. A significant feature of the site, and therefore a key influence in our Casino Joy ratings 2018, is the mechanical theme on the site – with its metal signs and cogs twisting in the background. It has a contemporary feel that sets it apart from its competitors. However, you can’t help but feel that some of the buttons and transitions have a clunky feel and maybe a little less than professional, but this might just be our opinion in this Casino Joy Casino Review. Some downsides to the site include: no download casino and the site is not particularly mobile friendly. There is, as yet, no mobile app. This means betting on the go with the site is a no go. However, the experience on the main website more than makes up for it. There is no single games developer that serves the site – in fact the list is so long we are not even going to try to share them all with you – enough to say that PlayTech, NetEnt and Microgaming are all in the mix. This means the Casino Joy ratings 2018 for variety are high, as is the quality of the game selection. The main choice is in slots – of course – as it is with most sites. However, they have enough of a mix of table games and live betting opportunities to maintain the high rating here. You will find traditional and video poker tables, there is baccarat, blackjack, French and Russian roulette – and many progressive jackpots. What impressed us most in our research for this Casino Joy Casino Review is that the number of games seems to be updated regularly. There is always something fresh to check out when you visit the site. Top scores for this site in the Casino Joy ratings 2018 for game variety and quality! What if we told you that the welcome bonus was up to 2000 euros, with 200 spins as a bonus? Interested? We thought so. Can we explain the terms and conditions for how you gain this maximum bonus and then gain some money in your own bank account? Not in this space. The terms and conditions are so complex that it takes a while to work out how you achieve this bonus – but the headline looks amazing all the same. Cynicism aside, this bonus does give you a lot of opportunity to play on the site and have some fun, even if you won’t benefit financially for a good while. Remember how good the customer services team are at responding to queries, so don’t get upset by the Ts and Cs. And there is more. This is one of the most generous casino sites out there – there is a 2% cashback offered instead of the welcome bonus – and the site runs a continuous promotion of up to 10% cashback all the time. There are tournaments each week and there is a chance to gain points that can be used on the site or swapped for real money. We know we have made much about the difficulty in understanding how these bonuses work, but the truth is that this site should get more than the maximum Casino Joy ratings 2018 here because they do more than anyone else to improve your experience of gambling. 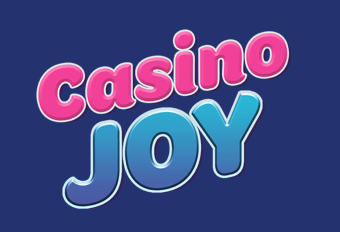 Our overall Casino Joy Casino Review was always going to be positive, once we came up with our Casino Joy ratings 2018. This is a site that does all it can to enhance the experience of the user. The importance placed on bonuses and promotions is an obvious plus, but so is the responsiveness to customer queries. There may be some clumsiness to the website and a lack of mobile experience, but this is minor in comparison.